There was a time when kids use to make cartoons and parents would scold them for wasting time and efforts. But technology has evolved a lot and thus cartoon making too. From just a small hobby to professional business, cartoon making is now a vast field. Everyone love making cartoons and now many people are actually earning money online through this skill. If you are wondering how to make a cartoon, then you can take help of some cartoon making software. There are various kinds of cartoon making software available on the web, but most of them are paid or will cost you good money. However, there exist some free cartoon software and websites where you can create a cartoon in few simple steps. So, let’s discuss some cartoon creator tools to make your own cartoon character! 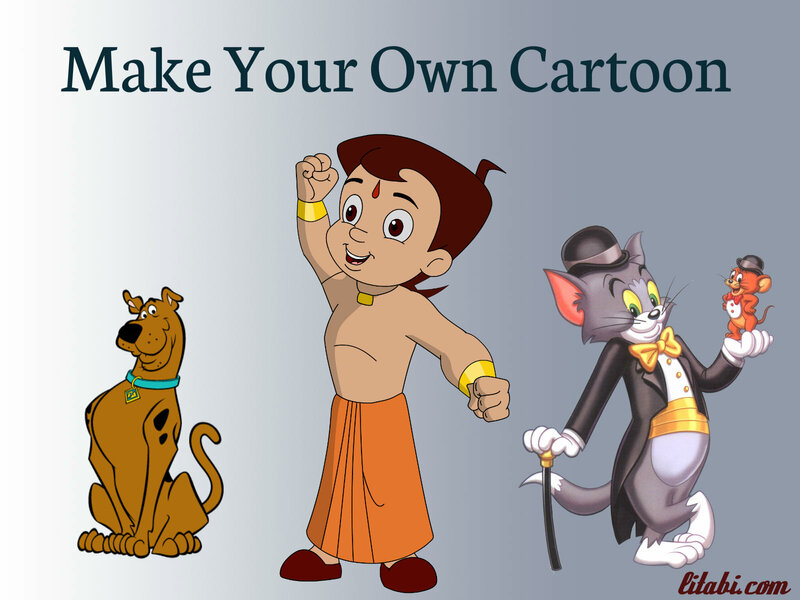 Below are the few cartoon making software and websites which can come handy to create your own cartoon. If you wish to make your cartoon, then Movavi video editor is a specific software to begin. This cartoon character creator uses simple technique stop motion for the first-time cartoon makers. Just you need to follow some simple steps like taking photos, adding files to the video editor, including the soundtrack and saving your cartoon. Cartoon-generator is a simple tool to make cartoons from your own pictures. Here, some graphic effects can be added to the images to make them look like hand-drawn cartoons. This easy-to-use picture to cartoon converter allows batch converting multiple images. Even the beginners can use this tool without any trouble as its interface is neat and straightforward. Just try this free cartoon download! Inkscape is a free cartoon maker which runs on all major platforms. It allows creating logos and artwork right from the start. It can be used to draw cartoons for animation work. It is capable of converting bitmap images directly into vector images. Another feature of this software program is that it works similarly like Adobe Illustrator and can be used to design websites. Artoonix is a powerful software to create a cartoon character. If you have a great creative mind, then make use of this cartoon making software create the impressive cartoons of your choice. You may add your own sound effects here as it has advanced multi-task sound editor. It is a simple to use the resource to make cartoons with fun. Just a click is needed to start making the cartoons, and you don’t need to download any files. So, give a try with this cartoon making software online to create and share professional-looking cartoons. It is produced by MIT, and it can be used to make some simple & basic cartoons. It is an open source software program and can be used by anyone on any platform. You can also create animations by using this cartoon making software as it allows you to draw sprites and triggers. Besides, this free software can be used to create games, and you may share your creation with other users. This cartoon animation software is specially made for animation lovers which allow creating your own cartoon character where you can design things like hair style, face, dress and almost the entire body. It is completely free to use and is very much addictive. You can even add accessories to your cartoon character. This cartoon maker allows you to use any picture and make a cartoon of it. You can even make yourself a cartoon and add different emotions to it. The best part of this website is that it allows you to cartoon still life photos which are fun to use. Toondoo is a popular website since it is one of the world’s fastest ways to create cartoons. Even though this online cartoon maker is a fun source for kids, it is the right place to brainstorm your creative mind to make attractive cartoons. You may take part in the contest too. This is the simplest website to use. You can easily upload your photos onto the website and can make a cartoon of them. The site offers a huge number of effects which can be easily applied to the photos. The best part of this cartoon maker is its simplicity. All the effects are shown just below the picture, and you just need to click on it to apply it to the picture. You would like to watch the nice video of a Cartoon Maker Software that you can download for free! Technology is now playing a major role in every field, and carton making is not so far from it. With so many advanced tool and simple to use websites, cartoon creation is now simple, and anyone can do it. Although, to draw a cartoon on paper and to draw in using technology are two different things. So, enjoy making cartoons with these excellent tools and websites which I’ve discussed in this post. What is your opinion about this cartoon making software list? Would you like to make a cartoon of yourself or have you tried to make yourself a cartoon? Do you have any experience in creating cartoon characters? Share your views and experience in the comment section. Glad you like the post Philip sir. Yeah, I’m back to work after my vacation. Good to know that you’re gonnna check these cartoon making tools. Thanks for getting time to check my post, have a good week fro you too! To be true, I never use these at all. But will try to use them as I will get time. Thanks for getting time to read my post and good to know that you’re gonna use these cartoon making tools. You too have a good day, keep coming! Thanks for bookmarking this post Charles, stay tuned! Great way to create cartoons, very informative article. Thats really nice, But have one query that can we make cartoons in Photoshop or Illustrator ?? yes brother you can very well create them in photoshop but yo need the base images or bits of the cartoon you want. dont forget to subscribe factful awareness on youtube. Great collection of website to create cartoons. Helpful and informative article. Thanks Ankit for your visit. Glad I could help. Keep coming! Hello people, am very creative and i want to utilize the creativity i got by learning how to make cartoons or animations . Please is there someone who could help me out please…? Thanks for the helpful article and lists of animations softwares. Besides just from curiosity do you have some list of whiteboard animation articles and sites? These are all very awesome! http://cartoonphotos.com/ also offers contests to get a free ultra realistic cartoon of yourseld! Or you can pay directly to get a premium piece done for you! I just feel their product is better than everyone on this page..
A warm welcome to my blog Josue. I just had a look your website, it looks awesome. I’ll spread the details of your Cartoon creating website with my social followers, friends and blog audience. I don’t think parents scold for make cartoons, This isn’t waste of time. Making cartoons are good thing and it develops creativity. By the way, i would like to try these software/website. Yup! Making cartoon is fun and yes, parents never scold for doing it. Good to know that you’re gonna try these site to create cartoons on your own. Thanks for reading my post and great that you’re my loyal reader. I’ll try my best to write the share the informative post, stay tuned! my youngest brother is very good in art and i have come to realize what potential he has. the only thing is that i see his talent go to waste and so, i have made multiple searches for a cartoon making software to be able to convert his drawings to real life cartoon characters whereby we could write stories and have this characters act upon them. Anyone who has an idea of the best and yet simplest software to use, please do advice. I love artwork very much and I dont know where it will lead me to. I want a help so that I can start creating my own cartoon as well. I wish to learn the cartoon making.this is my dream.can u help me in this regard? I have launched Wish2BE free cartoon maker and think it deserves to be mentioned in the article. It automatically cuts the face out of photo, applies cartoon effect, and has a lot of cool cartoon templates, that other cartoonizers don’t have. http://www.wish2be.com. I wish to learn how to make a cartoon, i need some real help.